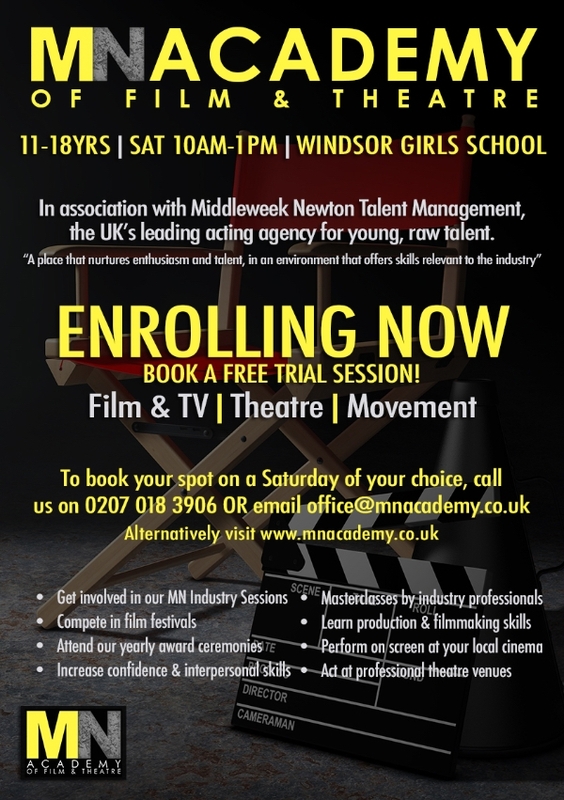 MN Academy of Film and Theatre are hosting an Easter Holiday Camp! 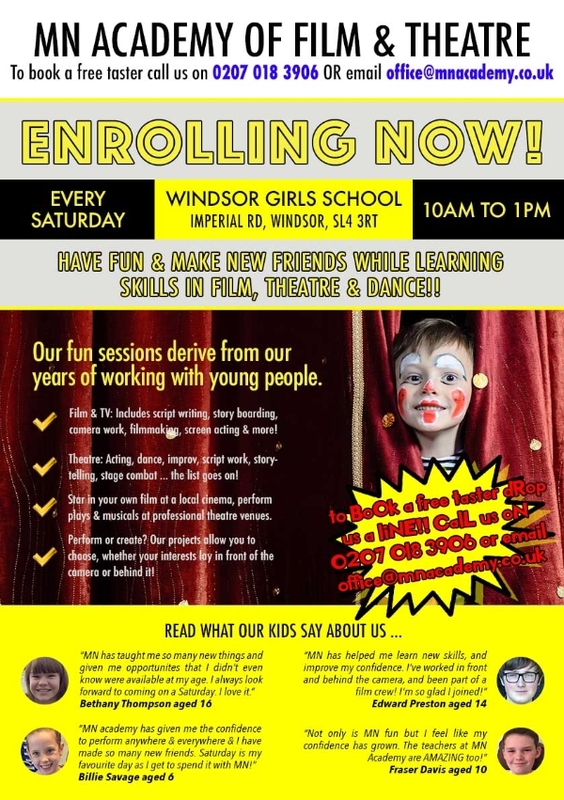 Workshops in Dance, Drama and Singing, with some film making thrown in too. Our teachers are DBS checked, first aid and safeguard trained. Monday 15th - Thursday 18th April, 10am - 3pm daily. A fun, creative, active alternative to child care this school holiday. Places are limited- to book your child's spot, please email office@mnacademy.co.uk. Recently MN Academy have been visited by BAFTA winning Director Colin O'Toole, students have also been creating their very own short films, as well as working on Comedy Theatre with Dave Jackson. Take a look at our Instagram- @MNAwindsor to see what we get up to! Experience what MN Academy has to offer, completely free! 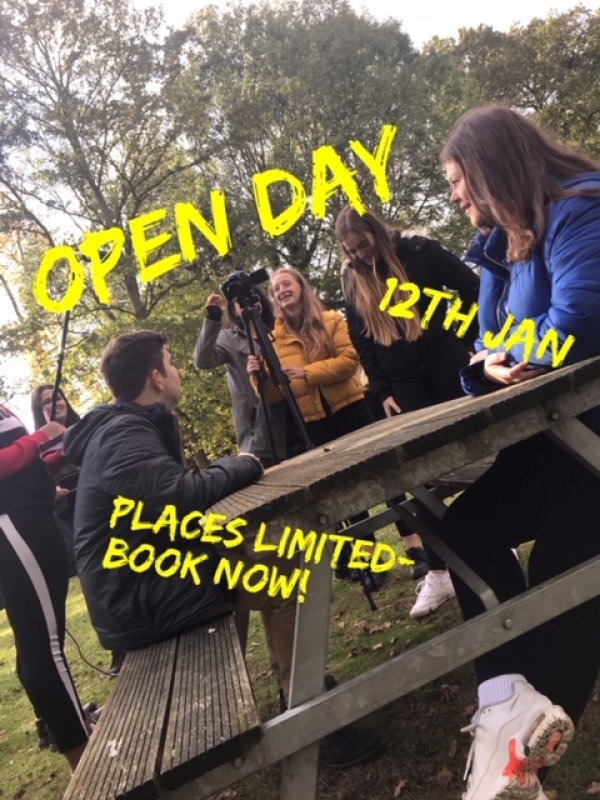 From 10am to 1pm take part in Film, Theatre and Movement classes and speak to teachers and current students. Enrolling Now at MN Academy! The MN Academy of Film and Theatre have spaces available! 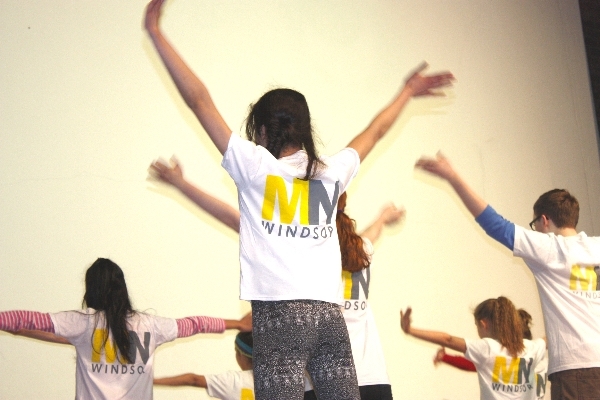 Every Saturday, for ages 6 - 18 at Windsor Girls School, we hold classes in Film, Theatre, Movement & Vocals. This term we are holding Agency Masterclasses, Comedy workshops and preparing for our end of term Showcase. Enquire now to book a FREE TRIAL session on a Saturday of your choosing. We can't wait to welcome you and show you what MN Academy are all about! 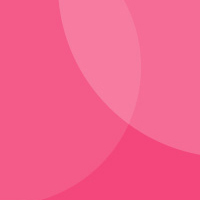 Alternatively, visit our website and fill out a contact form- a member of the team will be in touch! 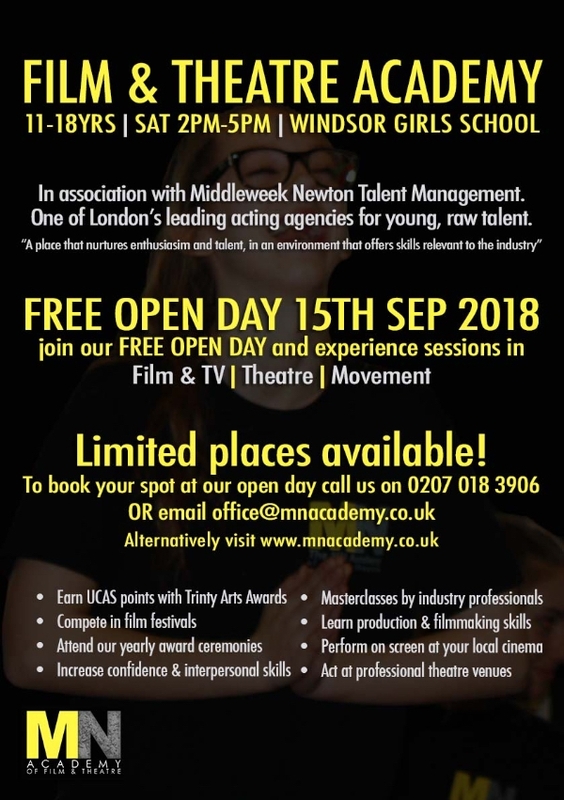 The MN Academy of Film and Theatre have a FREE OPEN DAY for ages 11-18 on Saturday September 15th, 2pm-5pm. Participants will have the chance to take part in a film, theatre and movement class, as well as meet the teachers and get to know what we do here at MN! Places are limited- Book your place now!